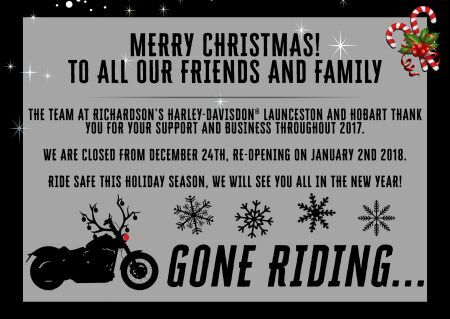 To all our valued Customers and Friends in Hobart and surrounding areas. 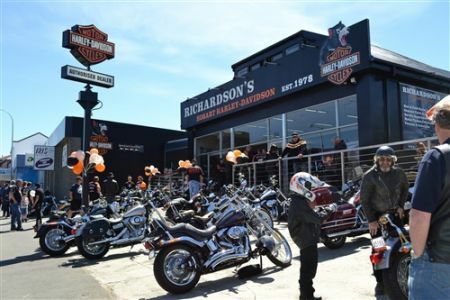 Richardson’s Hobart Harley-Davidson opened in November 2011 and has been supported by many local people, we have created some great and long lasting customers and friends at the store. 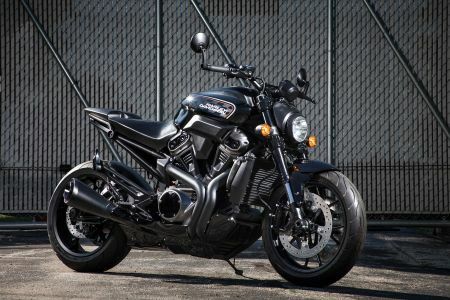 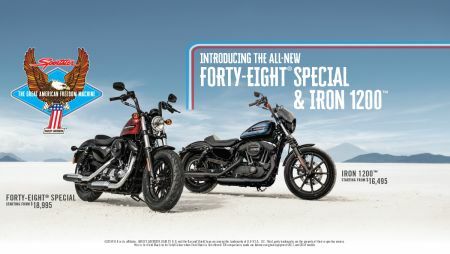 The new Harley-Davidson® FXDR™ 114 delivers hard-core drag-strip aggression with a technical edge. 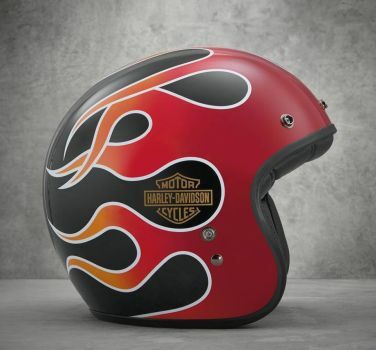 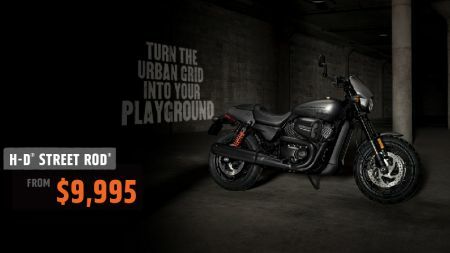 It's an unapologetic power cruiser bringing a new level of all-out performance to the Harley-Davidson line-up, combining the unrelenting torque of the Milwaukee-Eight® 114 engine with the liberal use of weight-saving aluminium and composite components. 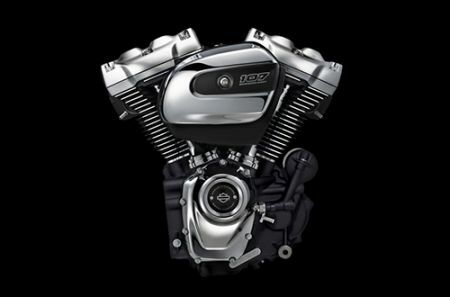 As a result, every aspect of performance is amplified. 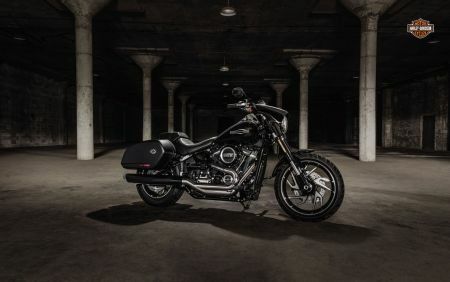 To appeal to a broad range of customer tastes, each new 2019 CVO machine is offered in three distinctly different styling treatments, from a look with a bright powertrain and chrome details with two-tone paint, to a combination of dark and bright finishes and to a very dark look with a monochrome or fade paint. 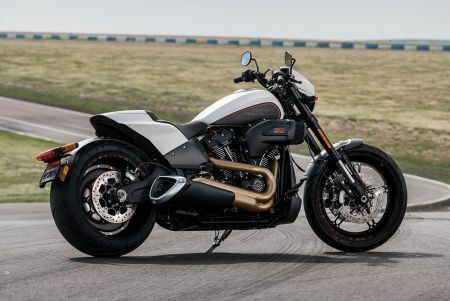 (AUSTRALIA, SYDNEY) 22nd August 2018: The all-out performance of the new 2019 Harley-Davidson® FXDR™ 114 sets the pace for Harley-Davidson's new 2019 motorcycles, accessories and gear that deliver fresh style, thrilling performance and advanced technology. 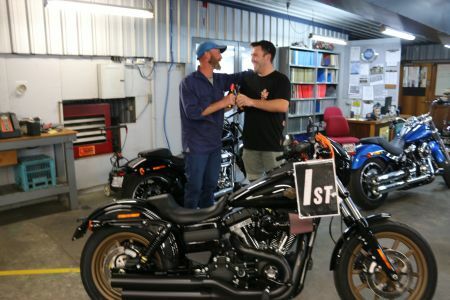 One of the most asked questions we currently get is what we recommend for tuning modified bikes now that Super Tuner is discontinued. 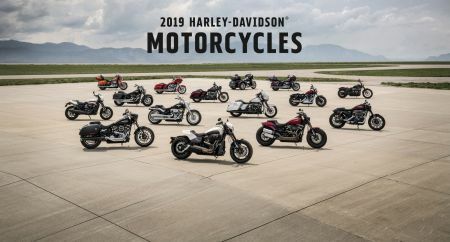 There are a lot of products on the market ranging from the very basic to very complex and some that are best left to an experienced or professional operator. 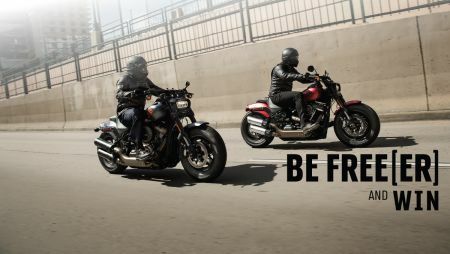 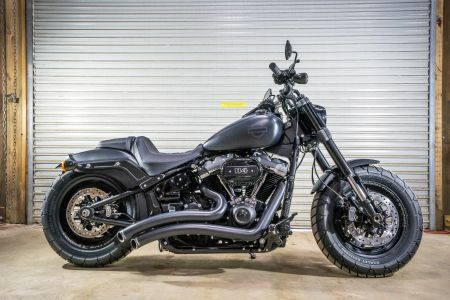 Comfortable Commuter is now more than affordable, with the 2018 Street Rod 750A priced from $9,995 ride away! 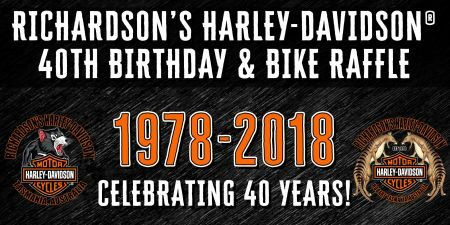 40 Years of Richardson’s Harley-Davidson 1978-2018. 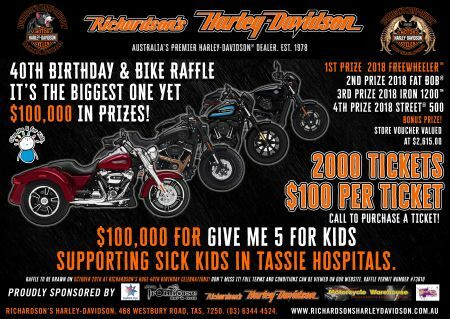 We have now officially launched our 40th Birthday & Bike Raffle at Richardson's Harley-Davidson in Prospect, Tickets are on sale NOW and the Raffle Draw and 40th Birthday Ride and Celebrations will be on October 20th. 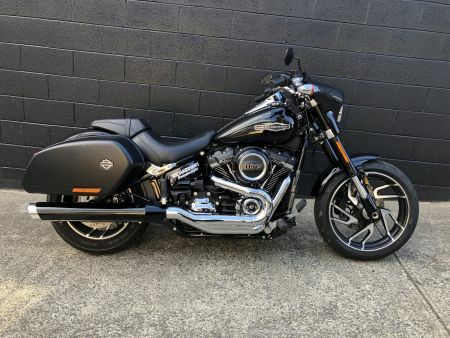 Jason has been cruising on our 2018 Sport Glide demo model. 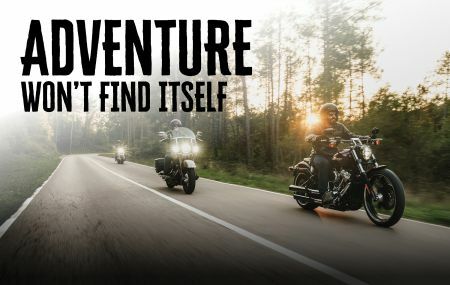 Read his review of the ride here. 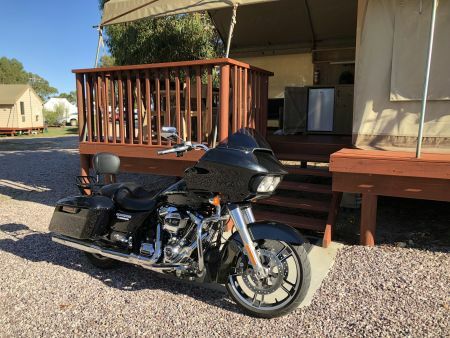 Jason spent the Easter long weekend cruising on our demonstrator Road Glide, read his review of the ride here. 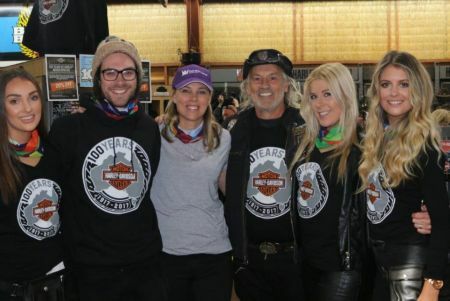 A great day at Richardson's Harley-Davidson® Power Surge 2017. 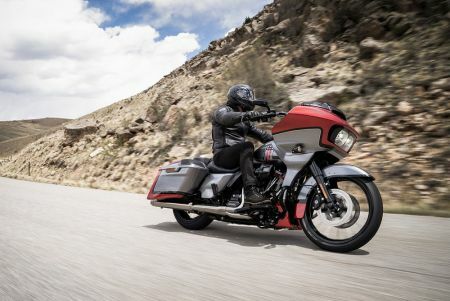 New for 2018 the Sport Glide™ is the factory custom that can do it all – cruise, commute or tour, and while it draws classic styling cues from the Harley-Davidson Touring range, the Sport Glide outlines a compact and contemporary form all of its own. 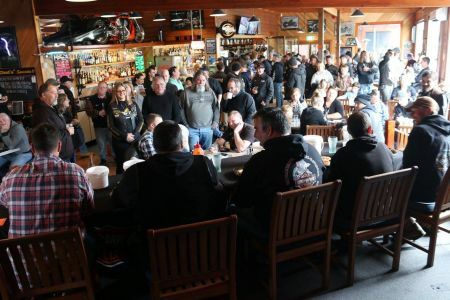 We want to say a BIG Thank you to all the ladies who attended out Garage Party in Launceston on Saturday :) It was a great evening of fun and informative workshops for ladies who are interested in Motorcycles.